An after-sale quitclaim is easy, but it may not suit your needs. 1. What Happens If You Lose a Quitclaim Deed? 2. What Does "Encumbrances" Mean in Real Estate? 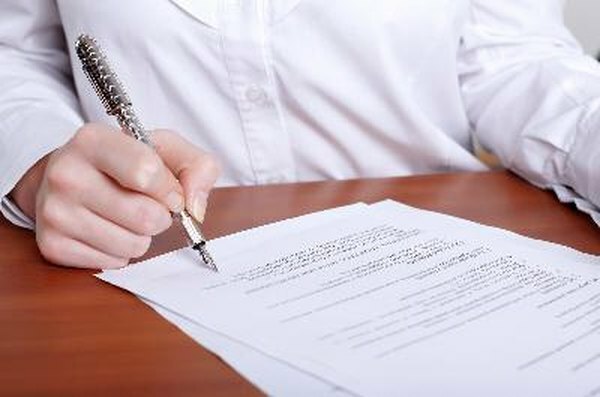 A quitclaim deed is a useful tool for transferring property in a number of different post-sale situations. It allows you to avoid the hassle and expense of a title search, survey and other procedures normally associated with the sale of property. But beware: It doesn't offer any guarantee of ownership. A quitclaim deed is a document that transfers the owner's interest in a property to another person. It makes no guarantee that the person transferring the property actually owns it, or that the property is free and clear of other claims against it. You can use a quitclaim deed to transfer a home, land or certain types of mobile homes. A post-sale quitclaim deed is the same document when used to transfer property in an action that is not related to a sale. A quitclaim is most useful in after-sale applications. Lawyers sometimes use this deed to transfer property into a trust. If you divorce and you or your spouse receive a particular property in the settlement, a quitclaim deed will document that the other spouse relinquishes all rights to that property. If you marry and you want to add your spouse's name to a property title — or when an aging parent wants to add an adult child's name to the house deed — a quitclaim deed is the simplest mechanism. In rare circumstances, when there is a cloud on the title — for example, when you pay off the mortgage but the bank fails to document it properly — the parties may use a quitclaim deed to lift this cloud by documenting that the other party relinquishes any claim to the property. A quitclaim deed is a permanent document. The only way you can reverse the property transfer is to have the recipient to sign a quitclaim deed transferring it back to you. While using this relatively simple mechanism to transfer property among family members may be appealing, be sure to consult a legal expert regarding the implications of the transfer. The transfer of property for less than full market value may affect the owner's eligibility for Medicaid long-term care and other types of public assistance. If the owner is a senior or disabled person who benefits from lower property taxes or property-related tax exemptions, the grantee will experience higher taxes on the property unless he also is a senior or disabled. Wolff and Hislop, Attorneys at Law: What the Deed? What Is a Quitclaim, Bargain and Sale, and Warranty Deed? How Does a Quitclaim Deed Affect Your Personal Taxes?